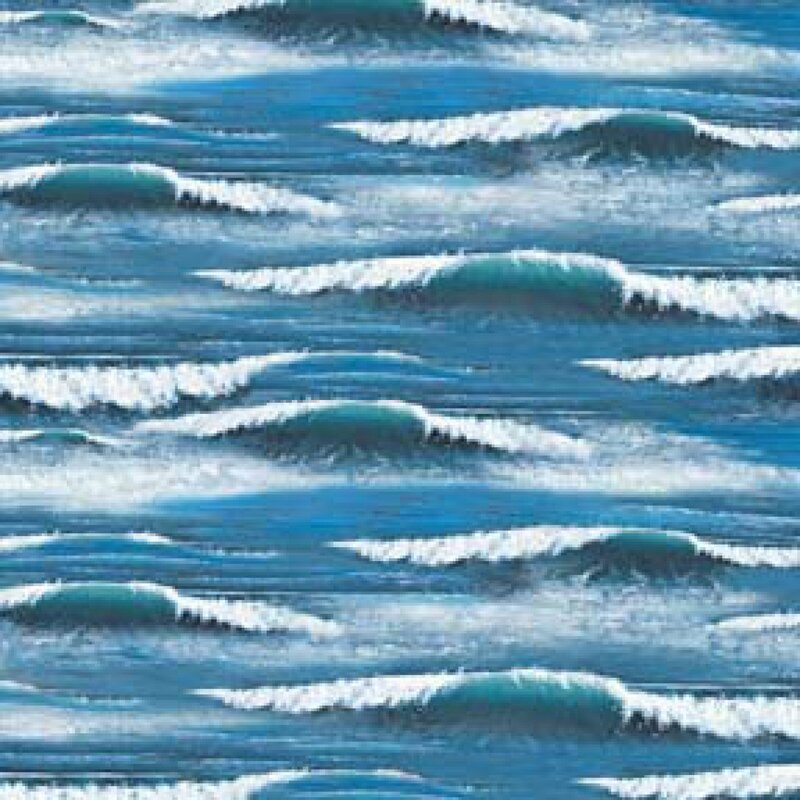 Whitecaps and waves, with beautiful shades of blue. Perfect for landscape quilts, especially those with boating, beach, and summer vacation themes! Limited supply! When it is gone, we won't be able to get any more of this fabric.